Are you looking forward to trail running in the spring months? 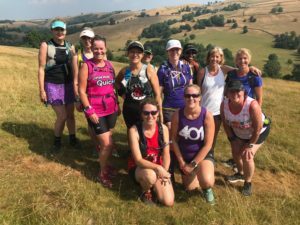 Would you like to spend time exploring the beautiful Peak District with some like-minded women? Then come and join us for a fun-packed weekend in this lovely corner of Derbyshire! We have exclusive use of the cosy Bretton hostel which stands on top of a hill near the village of Eyam, and is 2 minutes' walk from the Barrel Inn. 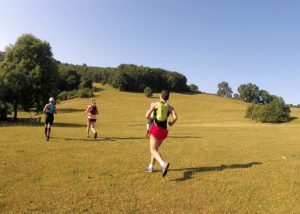 Surrounded by gorgeous countryside, there is superb trail running available from the front door. 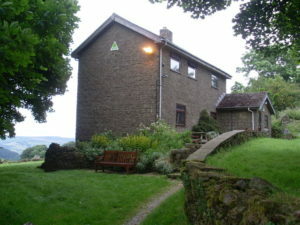 Accommodation is dormitory-style, in rooms of 6 to 8. Breakfast, lunch and non-alcoholic drinks are all included in the price. We will eat dinner at the pub along the road (cost not included). If you have special dietary requirements, just let me know! If you are already a registered Mud and Miles customer, you will be taken straight to the 'Peak District (Eyam) weekend deposit' booking link. You will be asked to pay a £35 (non-refundable) deposit on booking and the balance of £115 by Friday 19th April 2019.